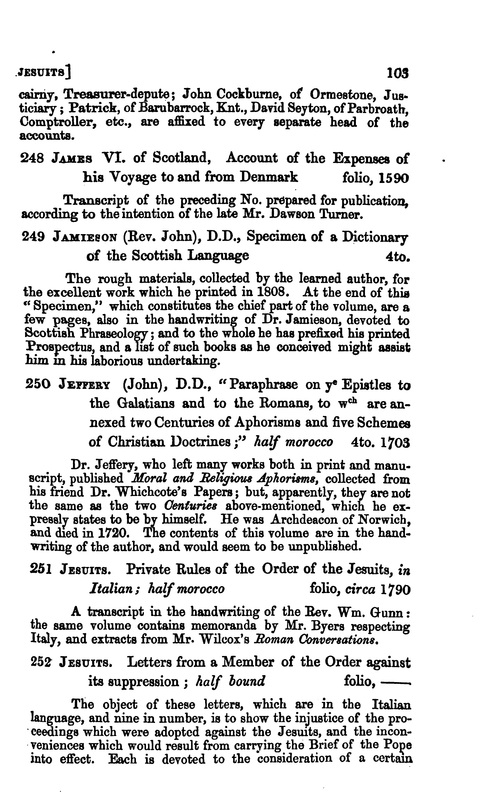 The following timeline gives the latest information on the provenance of the dictionary manuscript. It will be updated as new information surfaces. 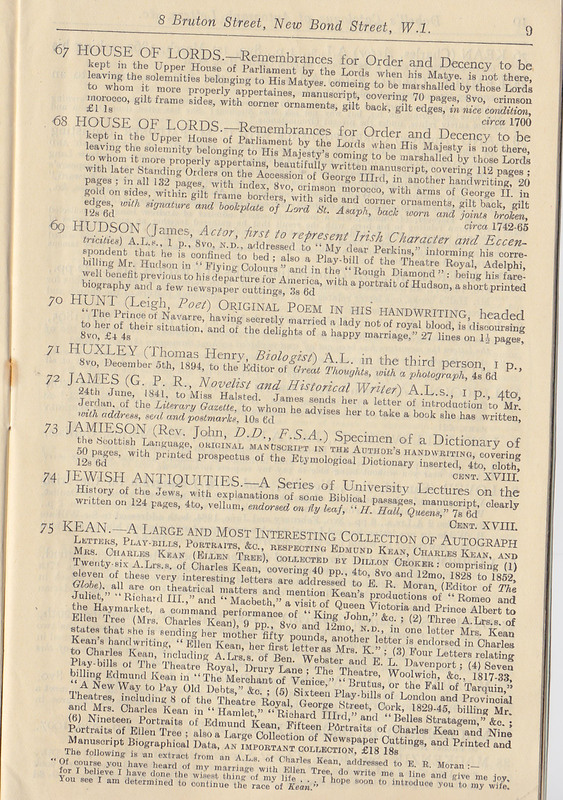 4374 Boswell’s Specimen of a Dictionary of the Scottish Language, 1l. 11s. 6d. See Boswell’s Life of Johnson. 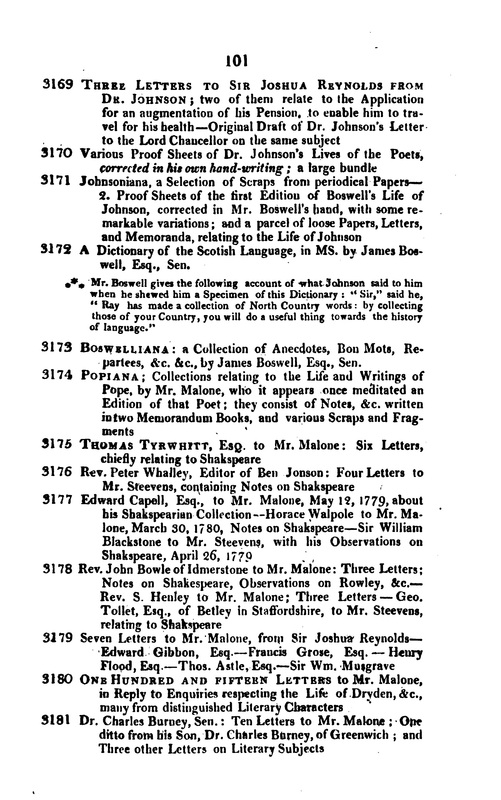 220 SCOTLAND.–Boswell’s Specimen of the Scottish Language, 1l. 11s. 6d. See Boswell’s Life of Johnson.